Achieve the right balance between productivity, efficiency & service. With anywhere from 20-70% of operational costs going toward labour, optimizing productivity and controlling costs are critical to success. 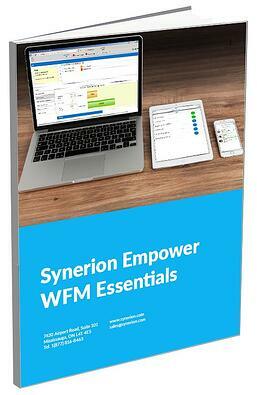 To find out more about how Synerion's Workforce Management Solutions can provide your organization with lasting value to meet your short and long term needs, fill out the form on the right.